All of the furniture in the Conestoga Collection is Amish handcrafted from 100% solid hard wood. 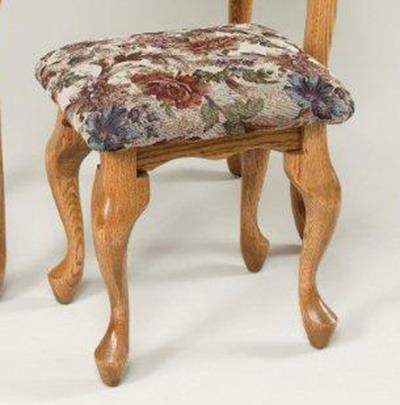 Our heirloom quality Amish furniture will provide you with style and comfort for many generations! The Amish Upholstered Queen Anne Vanity Stool can be handcrafted in your choice of solid wood and finish to match the rest of your bedroom suite.